Those braving the weather were Lymington Society Chairman Clive Sutton and committee members Ivor Johnston and Peter Stone, Cllr. Elizabeth Lewis, Cllr. Michael White, Mayor of Lymington and Mark Lanigan, also on the committee of the Lymington Society. 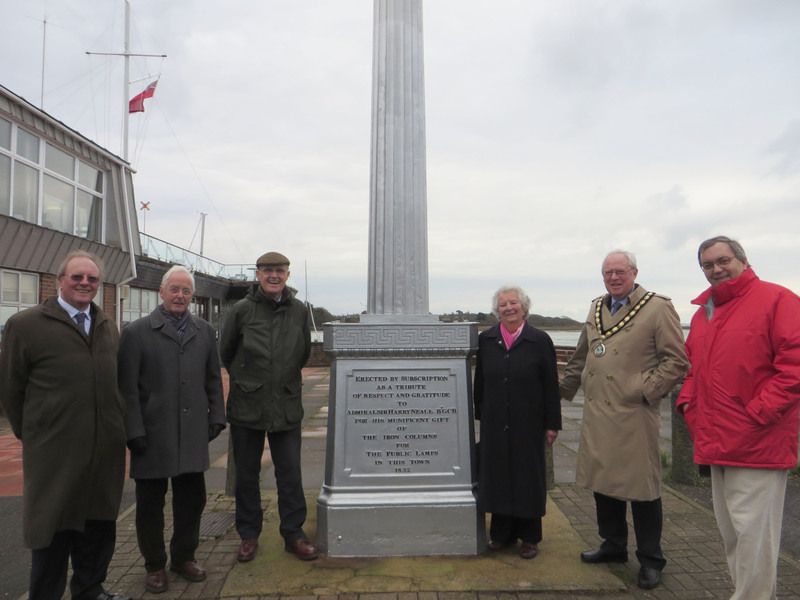 A local newspaper requested a photo-shoot, on 20th January, to mark the restoration of the ‘Gas Lamp Monument’ to the Burrards, adjacent to the Royal Lymington Yacht Club. Unfortunately, the weather was typically mid-winter but the turnout reflected the tremendous support that ‘BN250’ has been receiving. ← Volunteers’ Weekend a great success!